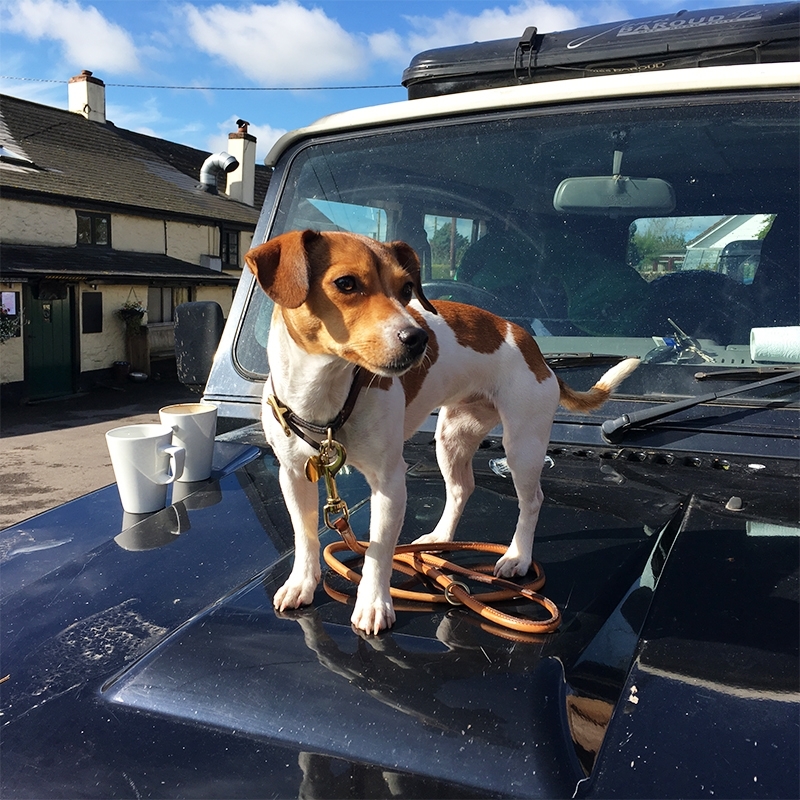 Meet Millie, our adorable Jack Russell and a very important member of the Kernowcraft Team! 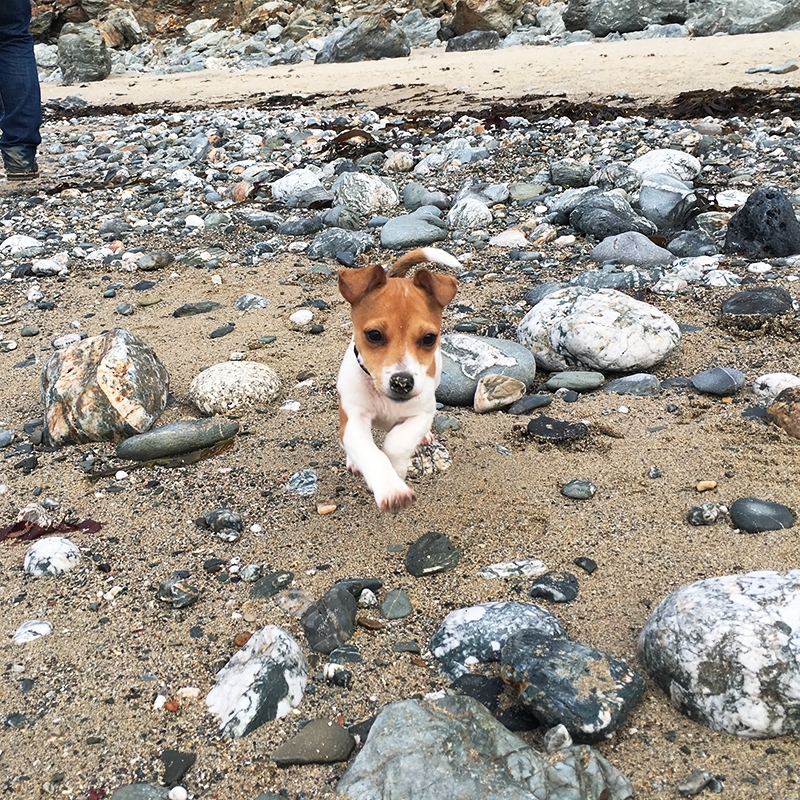 After a long day at the office and keeping watch for Kernowcraft customers, there’s nothing Millie loves more than a run around the beach. 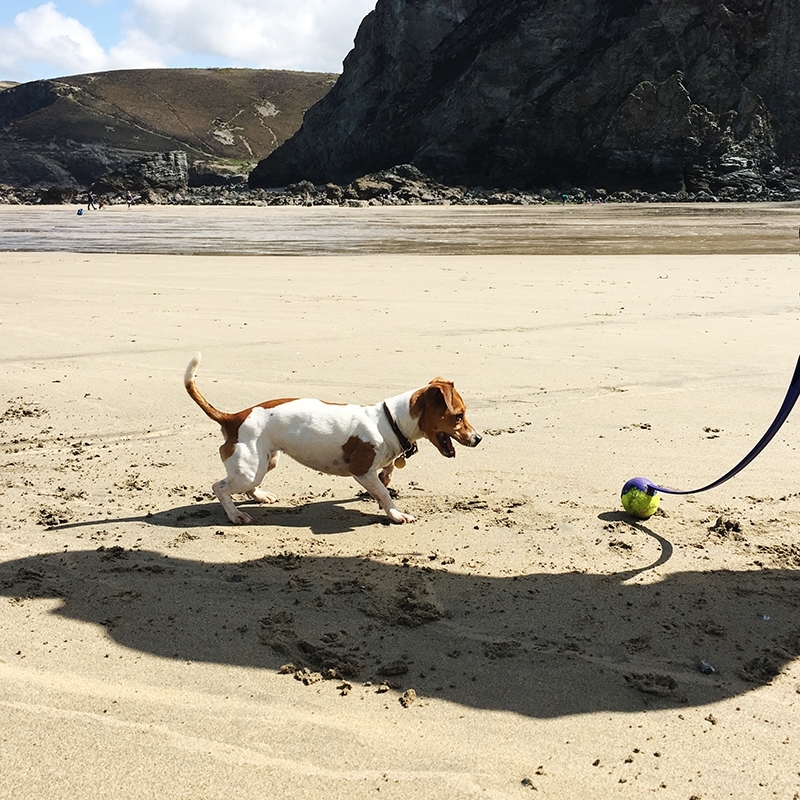 There are so many dog friendly beaches in Cornwall to discover, so we wanted to share with you a few of Millie’s favourite spots below. Most of these dog friendly beaches are near Kernowcraft in Perranporth - your destination for gemstones and jewellery making supplies! We love when customers pop in to see us, it's always wonderful to meet those who are down on holiday and hearing about their stay. So whether you're a beginner or experienced jeweller, we'd love to see you! Pop in to see us after a trip to the beach and meet our small team (including Millie of course), see our latest gemstones and give jewellery making a go! The top spot has to be Perranporth! 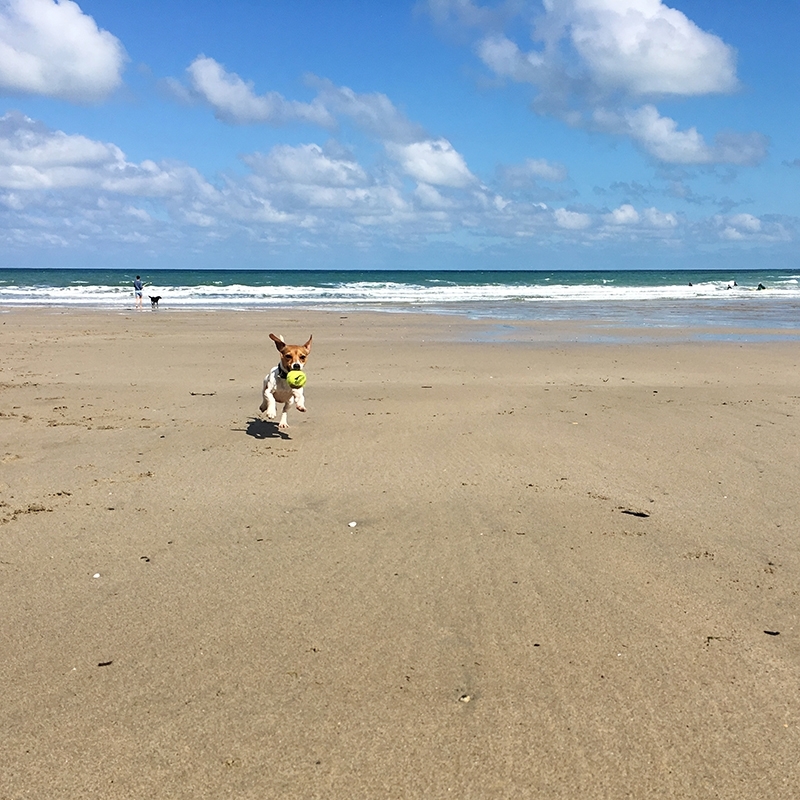 The Kernowcraft office is located close by, so this makes a perfect destination for Millie, our office dog to go for a good run after a busy day at the office. There’s 3 miles of golden sand to enjoy and on some days, it’s as if you have the whole beach to yourself! There’s also The Watering Hole, ‘the only bar on the beach’ which is perfect for a bite to eat or to relax with a Cornish cider after a long day of exploring. 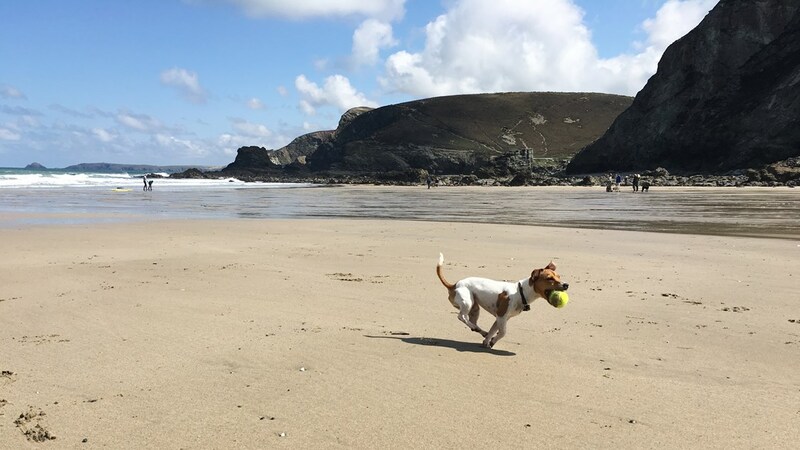 Perranporth beach is dog friendly all year round but during July and August dogs need to be on the lead from 10am - 5pm at the south end of the beach, closest to the village. You may also like our other blog post, 8 Things To Do In Perranporth – find out what you can get up to on your visit, whether you want to go to the local festival, rent a surfboard or find the best ice cream! Not far from Kernowcraft, Trevaunance Cove is a small beach tucked away in St Agnes, a gorgeous picturesque town which is full of character. Take a walk down through the town and follow the signs to the beach. It’s a fairly steep walk down to the beach, so make sure you’re wearing sturdy shoes or park in one of the nearby car parks. You’ll find a fish and chip shop by the beach, a café overlooking sea views and The Driftwood Spars which sells brilliant pub grub. If you’re up for an adventure and want to experience Cornwall’s mining history, you could follow the coast path from Perranporth to St Agnes. Click here to view the coast path directions with South West Coast Path. Great news for dog lovers, the beach is dog friendly all year round but must be kept on the lead. Walk across 2 miles of dreamy sand with your pooch and watch surfers enjoying the waves. This beach is great for families, there are lifeguards on duty during the summer months making it safe for the kids to splash around and there's plenty of rock pools to discover too. This beach is dog friendly all year round - so good news for Millie! This is a great location if you fancy going into Newquay town for a bite, spot of shopping or maybe a visit to the aquarium. Mexico Towans is a huge beach, with 4 miles of sand. Follow the sandy beach from Hayle Estuary to Godrevy Point and take in those stunning views. This is such a picturesque location, with spectacular sand dunes that dogs love exploring! Dogs can run free all year round on the central part of the beach, but there are restrictions on certain parts so do check out the signage upon your arrival. While you’re here, you could visit other nearby beaches such as Gwithian and Godrevy - both offering beautiful long stretches of sand. Unfortunately there are seasonal dog bans, so be sure to check before you visit.